Never before online. 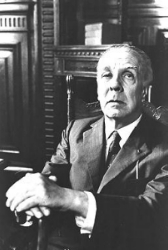 A lively interview colleagues and I conducted in 1976 with Jorge Luis Borges. We talked about the philosophers who have influenced him and his work. You can view the transcript and hear the audio here. Now the biggest Italian newspaper, La Stampa, has featured the Borges interview as the lead story in its Sunday Cultura section. Read it here. The Los Angeles Times literary blogger, Carolyn Kellogg, asks if the interview doesnt show that Borges would have been a fan of Wikipedia. Forbes magazine asked me to write about five of my favorite composers. Some people wont like what I say about Bach, a composer whose music I adore rather more than his religion. Read it here. John Careys What Good Are the Arts? is a semi-competent attempt to treat the general field of art theory. Ive done a short review of it here. Ive another Spanish version of an essay now available here. It is Crítica y Método. Like Estética y Psicología Evolucionista, it is translated by Eva Zimmerman. Ana Cristina Vélez of the Universidad de Antioquia in Colombia arranged this one too. Jean Baudrillard has died. We ought not to speak ill of the dead, but I did write this rather a long time back. The late Richard Rortys tone was always modest and thoughtful, even when his ideas were extreme: a review of Contingency, Irony, and Solidarity. My Washington Post review of Bjørn Lomborgs The Skeptical Environmentalist had all sorts of people upset. This examination of the concept of tribal or so-called primitive art appeared a few years ago in the Oxford Encyclopedia of Aesthetics. Aesthetics and Evolutionary Psychology, written for The Oxford Handbook of Aesthetics, is now available here. Joseph Williamss guide to good writing is worth study, while Clear and Simple as the Truth, by Mark Turner and Francis-Noël Thompson is the best book on writing style I have ever read. As for writing badly, well, yes, that can be learned too. Heres a first lesson. Richard A. Etlins In Defense of Humanism is a spirited attack on poststructuralism from the standpoint of a historian of architecture. Here is a short review. Charles Rosens Piano Notes is more than a wide-ranging account of piano artistry: it is also a meditation of the fate of modernism in music. Heres my review. Joseph Carroll is a literary critic who can use Darwin to produce some of the most penetrating insights youll find in scholarship. Read about his Literary Darwinism here. Arnold Krupats treatise, Ethnocriticism, on the other hand, is just about the worst book I have ever read as a systematic account of how indigenous arts and literatures should be regarded. Awful. Miriam Cosic, Arts section editor of The Australian, asked for a piece developing some of the ideas in John Brockmans Edge answer. What I came up with can be read here. Richard Rorty views progress in science as a matter of scientists changing their vocabularies. He provides a neat summary of his ideas in Contingency, Irony, and Solidarity. My review of The Mating Mind, by Geoffrey Miller, is at last available on this site. You can read it here. The article on Authenticity in Art in Jerry Levinsons Oxford Handbook of Aesthetics is available here. It discusses authenticity in music and in indigenous art, and places autheticity in the context of audience response. Forgery and Plagiarism, an entry for The Encyclopedia of Applied Ethics, has finally made it to this site. You can read it here. Knowledge Replacement Therapy discusses differing views of indigenous arts in a wildly uneven anthology. Of historic interest only are pieces on Radio Moscow and Moscow News which I wrote after a visit to Moscow in the frigid January of 1990. The city was boiling over politically at the time. The occasion of my trip was to deliver this address to the Russian Institute of Aesthetics. Umberto Ecos little volume on interpretation provoked mostly agreement, as did Alain Finkielkrauts The Defeat of the Mind. The Book Reviews page now contains this critical account of Christopher Steiners African Art in Transit. Steiner is awfully interested in art commerce. I wish he would pay some attention to aesthetic values. Susan Vogels book on Baule art is the inverse of Steiners in its refined and sensitive attitude toward a great African art area. Debunking Deconstruction is an analysis of John M. Elliss book on that subject. It was written back in 1989, but I dont think Id alter any of its ideas. Here is an exasperated pan of Sally Prices Primitive Art in Civilized Places, and a look at a postmodern lexicon whose faults are typical of mid-1990s work in literary theory. Alfred W. Crosbys history of quantification in culture is in my view a tour de force, and the late Walter Kaufmanns account of Heidegger and Nazism was spot on. And Theodor Adorno. He lived in Los Angeles when I was a kid. I never would have laid eyes on him, of course, but at least we used to read the same astrologer. Madame Bovarys Ovaries, by David and Nanelle Barash, is described in a jacket blurb as a provocatively sideways look at our cherished literary heritage. Ive reviewed it here. Is all fiction built on seven basic plots? Thats the thesis of a book by Christopher Booker. My own evaluation of his project is mixed, as I explain here in a review for the Washington Post. The Department of Cognitive Studies at the Ecole Normale Supérieure in Paris has organized on online seminar entitled, Fake: Why Does It Matter? The people conducting this, Gloria Orrigi and Noga Arikha, have chosen to kick off proceedings with a discussion of my article on Art and Authenticity, written for Jerrold Levinsons Oxford Handbook of Aesthetics. You can tune into the action, and maybe add a comment or two, by going to the site here. The importance of equality before the law is the topic of this column in the Press and the New Zealand Herald. The Washington Post also ran this review of Jennifer Michael Hechts Doubt: A History. John Brockmans Edge question this year is, What is your most dangerous idea? He has been able to publish answers from 117 thinkers. The whole shebang can be read here. My contribution, A Grand Narrative, can be found here. For a small number of readers who might appreciate it, here is the image I now use as a screen saver. Of course, I never had a screen of mine saved by a screen saver, but that was never the point. I attended the White House Press Correspondents Association Annual Dinner in 2006 at the Hinckley Hilton. My account, angled toward a New Zealand audience, can be read here. In 2003, John Brockmans annual Edge Question asked for a memo to the President on the premise that he had just appointed you as his Science Advisor. I recently came across my contribution; I had lost track of it. You can read it here. I stand by it still. Philip Matthews of the Press talked to Doug Campbell and me for a lovely article on Climate Debate Daily. You can read the Press article here. Many thanks to the editors of the New York Times for naming my Joyce Hatto essay, Shoot the Piano Player, as one of the papers Notable Op-Eds of the Year. It was only op-ed given that honor for January or February, and so heads the Timess chronological list. Thanks to Robert Fulford for this appreciative piece on Arts & Letters Daily in Canadas National Post. Mark Singer has written a very fine article on the Joyce Hatto scandal for The New Yorker. I have an advance PDF version of it here. You may have seen this photograph. It used to appear in blow-up form in the Margaret Mead Hall at the American Museum of Natural History in New York. It was also reproduced in an abysmal book called Gone Primitive: Savage Intellects, Modern Lives, by Marianna Torgovnick (panned by me here). Thanks to help from friends at the Museum of Natural History and across Central Park at the Metropolitan Museum, I am able to present the original color version of the photo. For an updated account of the controversy surrounding this image, click here. 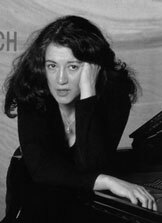 The Argentian pianist Martha Argerich is known for her explosive musical temperament and staggering technique. She has over her career produced many recordings, made in studios and live concerts. Recently, a surreptitiously made MP3 of a Carnegie Hall recital by Argerich came into my eager hands. It was appaently recorded by a member of the audience, likely sitting close to the stage, on the evening of March 25, 2000. Once you have adjusted your ears to echo and an inevitable blurring of the sound, you can enjoy some memorable artistry. The order of the works is the Bach Partita No. 2 in C minor, Chopins Barcarolle and the Scherzo No. 3 in C# minor, and the Prokofiev Seventh Sonata. After intermission, she is joined by the Julliard String Quartet for the great Schumann Piano Quintet, op. 44 (not included here). She then plays with her compatriot, Nelson Freire, for La Valse by Ravel (spectacular! ), the Waltz from the Second Suite for Two Pianos by Rachmaninoff (two Steinways on stage, I assume), and finally La Laiderontte from Ravels Mother Goose Suite. Click on the titles to hear the individual works. Some of most captivating musical recordings have been made when performers did not realize their work was being set down for posterity. I regard this as one such occasion. The complete lack of any inhibitions, the sheer carelessness of Argerichs performance, helps make the event an astounding musical experience. As a pianist, she knows she can do anything: she is in complete command. Words fail me, for once. Welcome to this personal website. Students interested in graduate or undergrad study-abroad work here in New Zealand should look at the relevant links starting here. Our Philosophy Department offerings are described starting here. Check out my first-semester beginners course, Philosophy 110, Science: Good, Bad, and Bogus. Our new course on evolution, Philosophy 220, Darwins Dangerous Idea, is now underway. For futher information see the right-hand column below or click here. 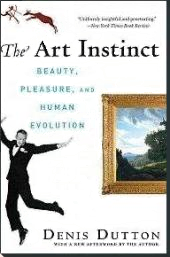 If you are looking for information on my recent book, The Art Instinct: Beauty, Pleasure, and Human Evolution, click here. Are video games art? Roger Ebert was roasted in a firestorm of invective when he denied it in the Chicago Sun-Times in April. Now a gaggle of gamers, designers, and computer nerds  plus one philosopher of art  weigh in with reactions to the dispute. Its in the New Scientist here. Is the the 1932 painting shown here behind its artist worth $106.5 million? Thats what it was sold for at Christies on May 3rd. I have commented on this in the Room for Debate section of the New York Times, here. The Nelson Mails Charles Anderson attended the debate I had with critic John Carey at the recent Auckland Writers and Readers Festival. He has written quite a lovely account of it here. My highly critical review of Careys What Good Are the Arts? can be read here. Bronnypop in the Christchurch City Library blog has also written about the event. There is a little exchange with me here. Now another account has shown up, written by Elizabeth Welsh in Morph Magazine. You can read it here. Are the Oscars sexist? They do not have an award for Best Directoress, so why have one for Best Actress? My Los Angeles Times column on the subject appeared at the top of the op-ed page for Academy Awards Sunday. Read it here. Pugnacious, witty, and entertaining ... The Art Instinct is scintillatingly written and not to be missed  even the end notes are indispensable , writes Kirkus Reviews. Duttons eloquent account sheds light on the role art plays in our lives ... uniformly insightful and penetrating, says the New York Times. Denis Dutton combines a magisterial command of the history of aesthetics back to Plato and Aristotle, a total commitment to clarity and verve in writing, and an up-to-the-minute grasp of almost every trend on the contemporary cultural scene. Result? A philosophy of art for the ages, according to the Philadelphia Inquirer. Check out all the reviews and other news HERE. But is it art? Daniel Goleman, Wendy Law-Yone, and Denis Dutton in a lively debate hosted by Bridget Kendall. Listen to The Forum from the BBC. Find out more about The Art Instinct here. Adam Chmielewski of the University of Wroclaw and I have written a background piece of the crash in Poland that wiped out so many of the state elite. The Los Angeles Times ran an abridged version of the essay, which has also shown up in syndication in newspapers across the world. Read the original version on Open Democracy here. A version in Europes World is here. Evidence that our take on events was largely correct is given here. Now in Spanish! 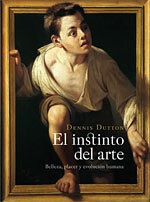 My book, El Instinto del Arte: Belleza, Placer y Evolución Humana, is published by Ediciones Paidós in Madrid.It is a beautifully produced book with a striking cover. The translator is Carme Font Paz, a faculty member of the Filologia Anglesa i German�stica, Universitat Aut�noma de Barcelona. More information here. An interview with Solidaridad Digital  un magn�fico libro  can be read here. And there is a nice notice for the book in the Literary Supplement of El Pais here. There is a new review in El Mundo here. .My New York Times op-ed for New Years Day, Its Always the End of the World As We Know It, has caused a lot of buzz, positive and negative, across the Web. Some readers absolutely hated it. It is about the Y2K fiasco of ten years ago and catastrophism in general. Find out if youre one of the haters by reading it here. Happy New Fear! The TED conference in Long Beach was wonderful. Many great speakers (including, great or not, me), dinner with a very pleasant Bill Gates, and much else. 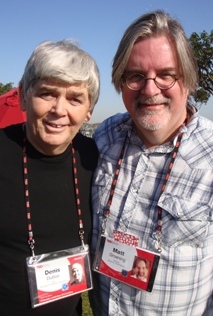 Below, at the final picnic with old family friend, Matt Groening. The Santa Barbara Museum of Art hosted an evening devoted to The Art Instinct on October 21, 2009. 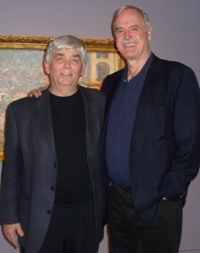 I was joined for the event by writer, actor, and art collector, John Cleese. Read more here. at the Santa Barbara Museum of Art. The New York Times published in October my op-ed on the dangers of conceptual art as an investment vehicle. Of course, the piece is about much more than that! You can read it here. The Aspen Ideas Festival talk was given in July and a plenary address at the American Society of Aesthetics came around in October. Claire Fox, Charles Murray, and I spoke at a Sydney event sponsored by the Centre for Independent Studies. The topic was elitism, and in different ways the three of us defended it. My piece has just been published in The Australian. You can read it here. (The Stuttgart journal Merkur has now published this talk in German.) A longer review of John Careys book, mentioned in the essay, can be found here. Coming clean in his fanciful account means that (1) he only started to mix in other pianists tracks to cover the grunting of his diseased and suffering wife. (2) All recordings of her mix her work with other pianists. (3) He did it all for her, to make things more bearable. (4) She didnt know a thing about it. He wins, you see: he is a hero, and she was a mere victim of his kindness. He lied to her, and to everyone else, but dont be too harsh, since he did it out of love. This is pluperfect rubbish. No one has detected any mixing of two pianists on the same track in any of her fakes. All known tracks so far are 100% other pianists, with time compression in some cases (not all), with the effect of making the recording even faster and more brilliant than the originals. Think through the possibilities. It is not implausible to imagine a recording engineer who is also a loving husband slipping a false performance of one track or other into a CD where her performance had fallen short. But we are not talking about a track or two, we are faced here with the biggest single body of pianistic output in recording history (Rubinsteins lifetime production was less that 100 CDs, but included many, many repetitions of the same pieces). So far, not a single post-1970 recording by Joyce Hatto has turned out not to be a fake. Her catalogue includes around 30 or so concertos. This is probably more recorded concerto repertoire than Rubinstein and Horowitz combined. All of these CDs have the same non-existent conductor and orchestra. Joyce Hatto was aware of these CDs. This is incompatible with Barrington-Coupes claim that she did not know what was going on. In fact, it is a palpable absurdity to imagine she did not know. She signed CDs, she boasted of her exploits! Listen to the radio interviews. Joyce Hatto knew her catalogue, she knew the claims made about her, she knew the reviews and the critics, and she knew how to charm anyone who talked to her. As for whether Barrington-Coupe loved his wife, it is doubtless true, but it is entirely beside the point. Im sure Clyde loved Bonnie too. The media coverage of the Hatto episode is a lesson in how the news cycle turns over with a story. Barrington-Coupe got in with this last bit of nonsense just at the point when editors were likely getting tired of the story. They dont care; they have other things to worry about. 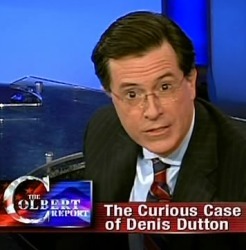 Oh, journalism! In sum, based on her letters to critics and her radio interviews, it is my considered opinion that Joyce Hatto, in addition of being a lively, chirpy, witty, bright, and positive person, was also a systematic, methodical liar. The only thing she needed was to be married to a convicted fraudster who was also a recording engineer. And guess what? Because she was so extremely pleasant and because she was an artist, it has been very difficult for people to accept the notion of her guilt. Con artists are often very engaging people with high IQs. Her positive attitude derived, I imagine, in part from thinking she was going to get away with it. She was very likely having the time of her life, at last the star shed always longed to be. And, perhaps luckily for her, she died before she was caught out. Anyway, my New York Times op-ed goes through the issues. Four interesting letters to the editor are included. There is an excellent page by Andrys Basten bringing together information about the Hatto scandal. You can find it here. 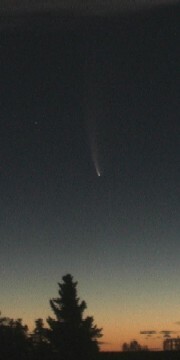 After a long period of overcast weather, the Christchurch sky at last cleared on January 22, 2007, and we were able to observe Comet McNaught in its true celestial glory. It is the most impressive comet I have ever seen (and Ive seen a few, since my first, Comet Arend-Roland and then Comet Mrkos, both in 1957). The photo above was made by holding my Fuji digital camera steady on the top of the old Saab for a 15 second exposure. The location was near Darfield and a 70 km/hr Norwester was blowing across the Canterbury Plains. Herewith the study ideas and questions for the final exam. Let your cramming begin HERE. The essay by the creationist (or creationist fellow-traveler) Brian Ridley is HERE. It is a Word document, not an HTML file. The Smithsonian prehistory timeline, the one that goes right to left but shows more detail in the species breakdown. Find it HERE. Matt Rossano's excellent article on handaxes and consciousness. The article (PDF) is HERE. Rossano's publication page is full of material that is relevant to all we have been discussing. Read through it HERE. The video of a lecture given by Richard Wrangham is HERE. It's 54 minutes long. Superb! Don't fail to watch it. (He's got a great family tree chart about ten minutes into his talk: wish I had access to it.) There are links to reviews and interviews about Wrangham's work in the NY Times, Seed magazine, Scientific American, Slate, and the Guardian. And don't miss the discussion on the blog site anthropology.net. Here is something quite intriguing: faces of our ancestors. By now, you will have read chapter 7 of The Greatest Show. Take notes on the names of the various proto-hominims discussed in that chapter. Scroll down and listen to the talk by Richard Leakey on the "Darwin Made Audible" page HERE. In addition, Melvyn Bragg's In Our Time programmes have three that are useful for us. First, there is the Neanderthal episode, which is on the "Darwin Made Audible" page. In addition there are two other episodes which can only be accessed off the BBC site. They are Human Evolution (2006) and the somewhat older Human Origins (2000). Unless you have some technological fix we don't know about, you will not be able to download these last two programmes, but must listen to them off your computer. If anyone has a better idea, let us know. Your essay topic. The essay for the course must be handed in, on paper, on Friday, October 15th. Don't fret, as generous flexibility regarding this date will be explained in lecture. In light of the earthquake hardship, the minimum length of the essay will be lowered to 1000 words, from 1200. Critically discuss the distinction between natural selection and sexual selection. As part of your discussion, relate natural and sexual selection to "artificial selection," or what may be called domestication. One issue you may wish to tackle is whether sexual selection is, as Dawkins seems to claim, best understood as as a kind of natual selection. Or whether, as Darwin seemed to think, it is a distinctly different process from that of natural selection. You my stick with examples from the non-human animal kingdom, or you may venture into the possible effects of sexual selection on the evolution of the human body or of human nature  the human personality. There is much source material you will be able to rely on for this essay. We shall supply some of it and for other sources you'll want to conduct your own research. The length of the essay 1000 - 1500 words (new "post-earthquake" length). Detailed instructions are here. Reading for your essay. We will supply a number of online sources that might be useful for your essay. For starters, here is Prof. Dutton's review from ten years ago of Geoffrey Miller's The Mating Mind. Books on reserve. Three copies of my book, The Art Instinct, are available on three-hour loan in the Law Library (location of all restricted loan books that were formerly in the Main Library). You can take one of these overnight if you get it just before the library closes and return it forst thing in the morning. Chapter 7 is on sexual selection. Relevant articles. Some of the clearest and best articles on sexual selection are by Geoffrey Miller. Here is a general view. Here is one on sexual selection and its relation to intelligence. Sexual selection and music HERE. And finally, the lovely opening section of Miller's book, The Mating Mind. The required text for Phil 220 is The Greatest Show on Earth, by Richard Dawkins. Recommended is Joseph Carrolls edition of On the Origin of Species (Broadview) because of the fine samples it has of Darwins range of writings. These are in the University Bookshop, and Borders, in the case of Dawkins. You can read the Origin in Carroll's edition, or listen to Richard Dawkins read it in a download from Audible.com. Its a great way to make productive use of your iPod! I've now listened to Dawkinss five-hour version, and I love it! You can buy it here. The text of the Dawkins abridgement is here. The page for other audio downloads for the course is here. Let us know how you get on with listening to these. Mick Whittles page, which will also feature video offerings, is here. This pan of the absurdly overrated Lord of the Rings films has been published in the Press, the New Zealand Herald, the Sunday Los Angeles Times, and the Australian. Here is the complete version from which these different edits derive. If you travel into the Sepik River area of northern New Guinea, you may encounter firewalking as practiced by the natives. It is an old jungle tradition. Well, maybe not that old. When the Shroud of Turin was at last carbon dated in 1988 many observers thought that would put an end to whacky speculation that it was the actual burial cloth of Jesus. Those of us who had spent much time studying the psychology of Shroud belief knew otherwise. A signed confession from the Shrouds creator would not do make any difference to believers at this point. A few years before the carbon test, I reviewed two recent books on the subject. The review can be found here. Human Accomplishment, by Charles Murray, was the subject of a long review in the New Criterion. Murrays book is a splendid achievement, so full of facts and hypotheses that critics have had a field day poking holes in it. While I poke a few, there is much to admire in this provocative work. Time magazine in its issue of 14 June 2004 (U.S. edition) had an article on weblogs that includes a flattering remark or two. I have never viewed Arts & Letters Daily as a weblog, in that it does not present a running commentary. The progenitor of the modern weblog, by the way, is not the personal diary, but the nineteeth-century commonplace book, a scrapbook of newspaper cuttings, favorite poems, and creative prose. ALD is just a daily reading list with attitude. Ive been searching for a decent link to Aristotles Poetics on the web. All I could find were fairly messy text and zipped versions that lacked the the editorial niceties to guide the eye and the mind through this work. The Perseus Project (W.H. Fyfes 1932 version) offers perhaps the best, but its broken into many separate pages and is very hard to navigate. So Ive cobbled together a couple of versions of the 1902 Butcher rendering and applied a modern editorial eye to the result. Heres what Ive come up with. Corrections are most welcome (email me here). I know for starters that Ive missed a few italics in this text. The April issue of Philosophy and Literature is out with lots of fresh argument and analysis. Click on the image for the current table of contents. The infamous Philosophy and Literature style sheet can be consulted here.